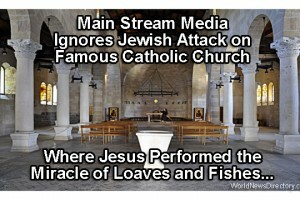 Here is a prime example of how the Christian sites in the mideast are being destroyed with ZERO media coverage. Where is all the outrage over this????? There is a reason that all of the major TV, newspaper, radio outlets are owned/ran by Jews.